It has been a long time since I posted a trailer so I decided today would be as good as any to do so. 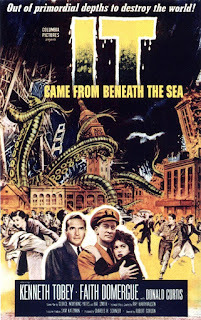 Today's trailer is the Ray Harryhausen classic It Came From Beneath the Sea. 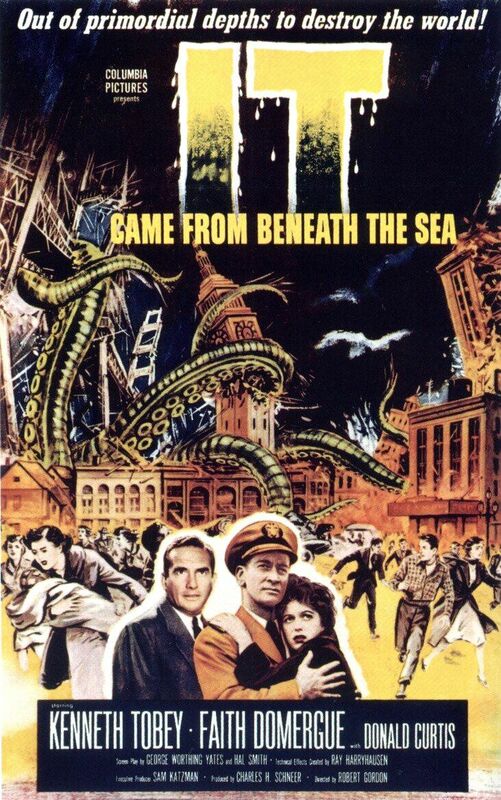 Released in 1955, the film is about an octopus that attacks San Francisco. While the effects by Harryhausen are wonderful, the monster never seemed the menacing to me. Maybe it is because I live in the Midwest and would never have to deal with an octopus attacking me or it is the fact that the monster really doesn't do that much. It attacks somethings and climbs the Golden Gate Bridge, but that is about it. I like the film, but the monster is lame. Not The Giant Claw lame, but still pretty lame. Still give the trailer a look and then watch the film. It is a good film despite having a lame monster.